New Zealand is, hands-down, my favorite country in the world. I love the landscapes, the people, and the laid-back way of life. But, seeing how the country is located roughly at the end of the world, traveling to this South Pacific nation definitely comes at a price. Yes, what you've heard is true: New Zealand is not a very budget-friendly destination. 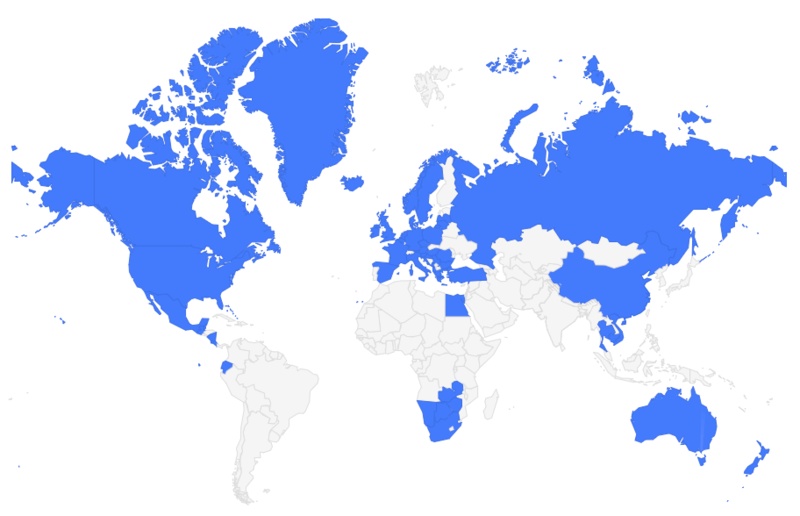 It's basically not close to anywhere (other than Australia). The adventure activities New Zealand is so well-known for all come at a premium price. Hell, you can't even find free wifi in this country! But, fear not. 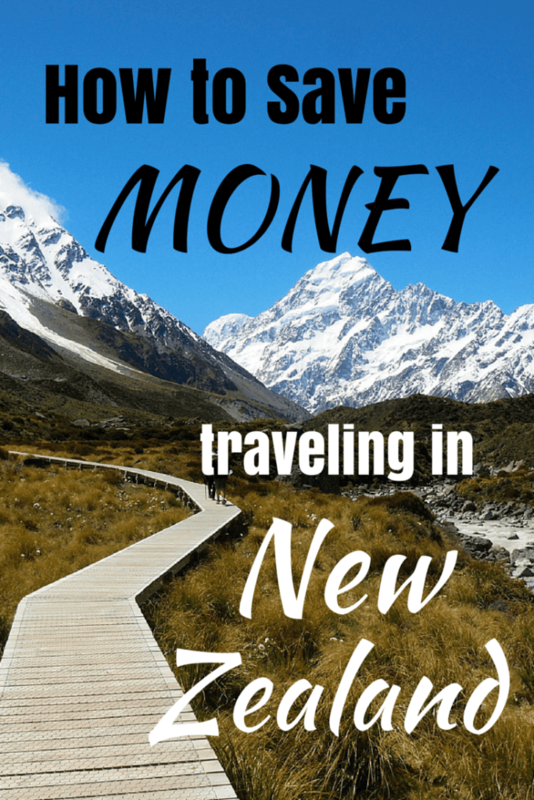 Having been to New Zealand four times in the past decade, I've come up with some tips to help you save money while traveling in New Zealand. New Zealand's high season is in the summer (December-February in the Southern Hemisphere), though the top ski spots in the country like Queenstown and Wanaka also have a secondary high season in the winter months when the skiing/snowboarding is good. If you want to find the best flight deals AND be traveling when transport and accommodation are the cheapest, visit New Zealand in the shoulder season: April-May or October-November. The weather during these seasons is generally pretty good (it's not too hot or too cold), and you usually don't have to compete with people to book rooms, rental cars, or popular activities. 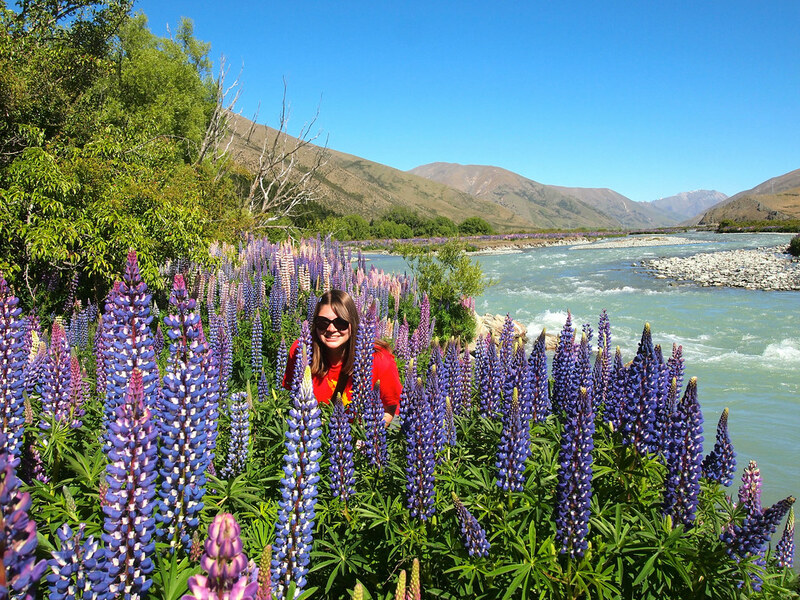 I've traveled in New Zealand in just about every season, and my favorite times to be there were in May when the leaves were changing and November when everything was in bloom (like lupins!). Having your own wheels in New Zealand really is a must if you truly want to explore the country and all its epic landscapes. IF you're down for camping in some of New Zealand's natural wilderness, you may want to consider renting a campervan. The bigger ones are great if you're traveling as a couple or with a friend or two. And the bigger, self-contained campers give you to ability to “freedom camp” — basically camp for free on public land. Smaller camper vans will require you to overnight in an actual campsite, but this can still save you tons of money when it comes to accommodation. If renting a set of wheels isn't quite in your budget, look into doing a relocation (or multiple relocations) of a rental car or campervan. Rental car companies constantly need cars and vans driven from one drop-off location to another, and if you are willing to help them out, they basically give you the rental for free. Popular relocation routes include ones between Auckland and Christchurch, and Christchurch and Queenstown. Most of the time these rentals cost about $1 per day and often come with one free tank of gas. And, if you need to get the car from one island to the other, the company usually throws in a ferry ticket, too. 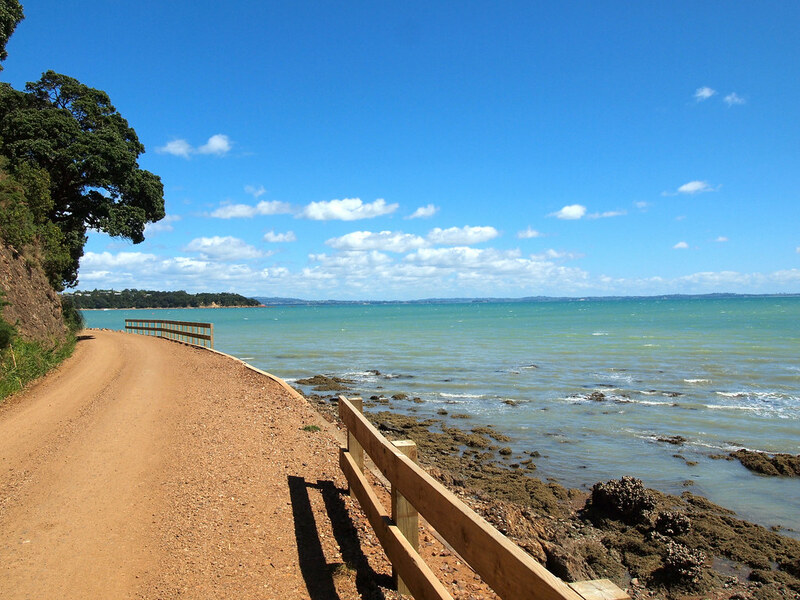 This isn't the best option if you want a nice leisurely road trip (Christchurch to Auckland transfers, for example, usually have to be completed within 4 or 5 days), but it IS a really cheap way to get from one place to another while still getting to see the scenery along the way. Good sites to check out include Jucy Rentals' relocation page, Transfercar, and Thrifty's relocation page. If driving in New Zealand is not on your to-do list, then I highly recommend taking a bus. Yes, bus rides in New Zealand can be long (allow at least 8 hours to get from Queenstown to Christchurch, for example), but they are comfortable and affordable. Nakedbus often offers $1 fares if you book far enough in advance, as does InterCity. Even if you book last-minute, though, you can often find long-distance bus tickets for $30-$50 — way cheaper than flying. And I actually LIKE riding buses in New Zealand because it allows you to enjoy the scenery without having to worry about driving yourself. 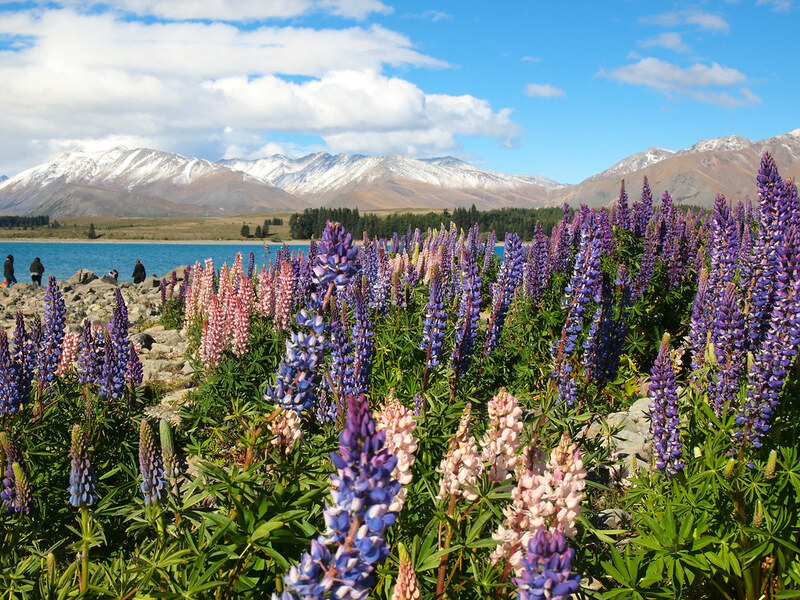 A bus trip from Queenstown to Christchurch, for example, includes a lunch stop here at Lake Tekapo. I used to recommend staying in hostels as a way to save money on accommodation in New Zealand. And they ARE a great way to save money, don't get me wrong. But I've outgrown my hostel days, and now try to find other alternatives to pricey hotels. My booking site of choice? Airbnb. Whether you're looking for an entire flat or just a room to rent out, you'll find plenty of great options on Airbnb. 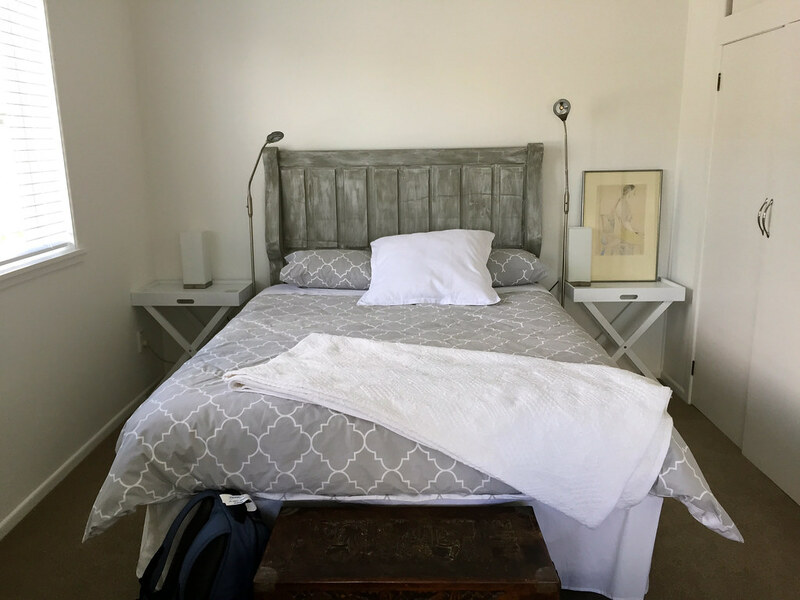 On my most recent trip to New Zealand, I booked a room in a lovely house in Auckland for 4 days. My host was very friendly, I got to meet some other travelers staying there, and the room came with free breakfast and wifi! And it only cost me $65 NZD per night (as opposed to double or triple that at a hotel nearby). My bright, comfortable Airbnb room in Auckland. Lastly, let me tell you about one of my very favorite sites to use to book activities in New Zealand: bookme.co.nz. This site offers deals on everything from jet boat rides to cocktails at the Ice Bar to Milford Sound cruises. I got great deals on a bungee jump and a seal swim on my last trip to New Zealand by using Bookme. 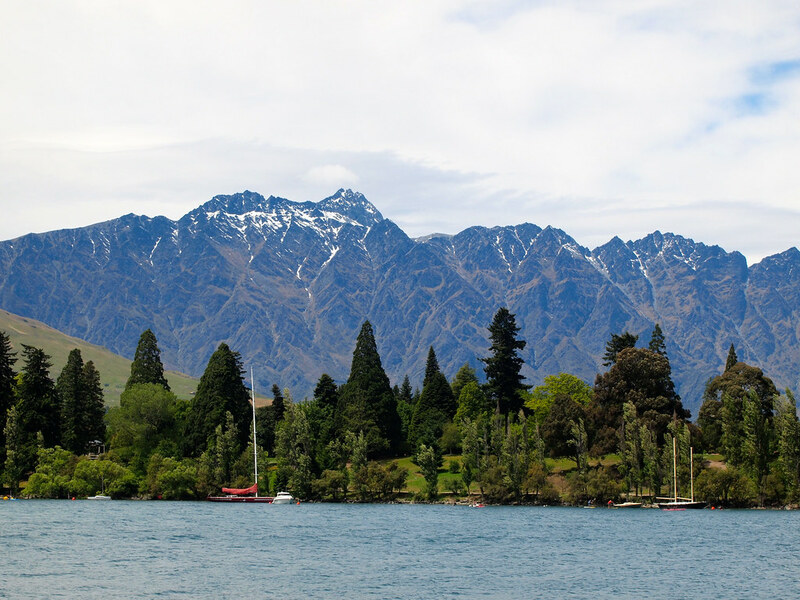 The site defaults to the Queenstown region because you can usually find the best deals there. But you can change the region at the top of the page, so don't forget to look for deals in other parts of New Zealand, too. A New Zealand guide book – or how about a Lord of the Rings-themed NZ guidebook? A travel adapter so you can easily use your electronics in New Zealand, and a power strip so you don't need multiple travel adapters. Good hiking boots so you can navigate the terrain. A GoPro so you can capture all the adventures. And, even though it’s not a tangible item, I also always recommend packing a good travel insurance policy! That way everything from lost luggage to a bad accident is covered – because you just never know! I recommend World Nomads for basic (and really affordable) travel insurance. Check out more of my New Zealand packing tips here! Do you have any other tips for how to save money in New Zealand? This was so helpful! Thank you for posting this, always love reading your blog and I’d be lying if i said I didn’t check your blog daily. Can’t wait to experience what you have in New Zealand myself. I’m happy to hear you love my blog so much! 🙂 Thanks so much for checking in all the time, Paula! “Budget” doesn’t have to mean sub-par or cramped. You can sacrifice in one area but not another and still save money! And the DOC tip is definitely a good one! Great post – Super helpful! I can’t wait to head to NZ for the first time this year! You will love it! And I hope you can put these tips to use! 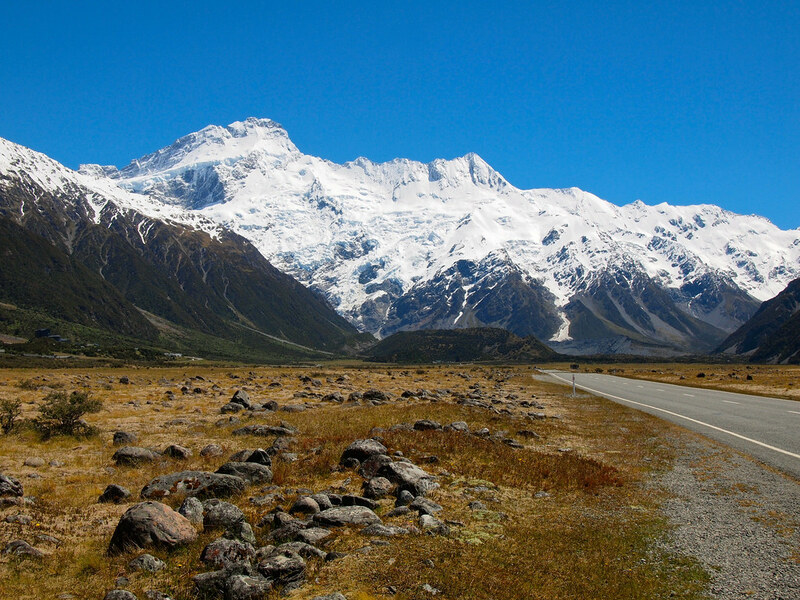 We’re probably heading to New Zealand next winter and love the idea of renting a camper van. We traveled that way through the U.S. for about four years and it is by far the best way to explore the countryside. So we also figured it would be the best way to get around NZ. But when I checked camper van rentals in NZ they were running like $100 per night, which didn’t strike me as particularly low cost. Was I just looking in the wrong place? Do you have any suggestions for a good rental company? It depends on a lot of factors – such as when you’re traveling, what kind of camper you want to rent, and where you’ll be picking up/dropping off. Check out Jucy – they tend to have some of the best rates in NZ. Great tips Amanda. I especially love the Bookme since I’d not heard of it before. Thanks. I LOVE Bookme! I use it all the time when I’m in New Zealand! Great post! This kind of pricey destinations scare me a little, but in December I went to Switzerland and honestly, it wasn’t THAT bad. Maybe I’ll try New Zeland too! the negative side is that I’m only able to do it either July or August, and it doesn’t fit your recommended dates. Yeah, there are definitely ways to save no matter where you’re going. I’m headed to Norway later this year, and am determined to come up with some budget tips there, too! And go to NZ in July or August! I’ve lived in NZ in the winter (in Wellington, no less, which doesn’t have the best winter weather) and it was fine! You’ll just need more layers, and you’ll need to prepare for snow in the mountains and on the South Island! One that’s pretty much relevant wherever you travel…grocery stores! Way cheaper than eating out all the time. We saved so much money buy buying and cooking our own food. Restaurants really drain the budget! Great list! Yup, that’s always a great tip! And, in NZ, it’s usually pretty easy to pop into a Countdown or New World and pick up a pre-made meal or sandwich for WAY cheaper than if you went to a restaurant. I ate SO MANY sandwiches (especially for lunch) when I was last in NZ. By the end of my trip, I didn’t want to see another egg sandwich! Haha. Wow. NZ sounds like the travel adventure of a lifetime. I’ve always wanted to go. My comment is more of a question. What was your favorite place in NZ? Is there any street route that is best that you could map out for travelers in a camper van? What places are best to go? It sounds like food is expensive. How do you manage avoiding restaurants? That question could have a ridiculously long answer! There’s SO much to see in New Zealand. But, the good news is, there aren’t that many highways or driving routes, so it’s pretty easy to choose one. Highway 1 goes the whole length of the country, for example. Check out my New Zealand page to see where all I’ve been. As for how to avoid restaurants, that’s easy: go shopping at the grocery store! If you don’t have a way to cook food, you can usually pick up sandwiches and pre-made meals at most grocery stores. If you do that for breakfast and lunch, it will definitely save you money. All fantastic tips, Katie! I hadn’t heard of GrabOne, but that definitely sounds useful! I’ll be writing a post about driving in NZ later, and will talk a little about hitching in that one. But I’m with you – as safe as NZ is, I wouldn’t feel comfortable hitchhiking on my own. Great tips! Travelling off season is one of the best ways to save some money. Can’t wait to head to New Zealand someday! Yup, and the off-season tip really applies to just about every destination. You can almost always find better flight and hotel deals in the off-season! These all sound like great tips! I’ve never been to New Zealand but I definitely want to go one day. All I hear about though is how expensive it is! What a helpful and timely post to save some $$$ while in NZ! Thanks for sharing! We actually just got to NZ last night, so will definitely be using some of these tips. For transport, we booked a series of rental relocations and Intercity busses, which seemed to be the most economical way for our route. Great advice! I hadn’t heard of the bookme site and we still have some adventures to arrange, so am off to check that out right now! Thanks! Perfect timing! A mixture of rental relocations and buses will definitely save you money, yet still give you some freedom – nicely done! And yes, go checkout Bookme! You’ll find some great deals on there (and might even find some activities listed that you didn’t even know existed!). Wish I would have known these on my first trip there haha! I can probably add a few tips myself like illegally camping atop Mount Victoria when I was broke or sleeping on beaches…but thats more hobopacking. But the buses like Naked Bus were saviors for sure. Haha “hobopacking.” Love it. But yeah… NZ isn’t a cheap place to travel, but it also doesn’t have to be quite as expensive as most people assume! These are great! Airbnb is definitely a money-saver. I plan to visit New Zealand next year, so I’ll keep these in mind. Yes, definitely keep these tips in the back of your mind! I just recently studied abroad in NZ for 2 weeks, and I fell in love. I was very disappointed that mostly everything there is really expensive. One thing I did that helped a little was wait to buy souvenirs until we got to the south island. A lot of the prices drop once you go south. Yeah, it’s definitely not a cheap country! Good tip about waiting to shop – the South Island definitely CAN be less expensive (as long as you don’t do all your shopping in Queenstown). Very helpful tips, thank you! Thank you for the tips.They are very helpful.I wonder what I can do to rent a camper van. Does it need to book online? And would you please give me one or two websites about camper vans? Thank you so much. Hi Tina! Yes, you can book a camper van online. The most popular rental sites in New Zealand are Jucy, Spaceships, and Maui Campervans, but you can also rent from Britz, Wicked Campers, and more – just Google “camper van New Zealand” and you’ll find lots of options! Some are more expensive than others, depending on the kind of camper you want. Great list. I spent 6 months traveling with my wife and we saw almost all we needed to see. You name it we have done it and yes it was my favorite place before we went. For us things got too complicated with the cost of living, renting cars and cost of apartments and food. It’s good to take buses but they do not go everywhere sometimes a car is essential. Worst thing that happened to us that we got our money stiles with credit cards and we had a hard time with it. We spent most of our nights while traveling in hostels and they were surprisingly clean and cheap. Yes, sometimes a car is essential, especially if you want to see it ALL. Hopefully you still love New Zealand, though! Hi Amanda, rentalcarrelocation.co.nz might be worth adding to your list, they have a great list of people who offer rental cars and campers! Thanks for the suggestion, Jack! I’ll have to check that one out, too. Which area/ street would you recommend while choosing airbnb in auckland. Is auckland ideal fir shopping? Then should we be close to poison by. I found airbnb there expensive. If i will spend time travelling to main cjty shops etc by taking a place far awawwouldn’t it be a waste. Auckland is a pretty big city (the largest in New Zealand, in fact! ), and I’m afraid I don’t know it well enough to recommend a specific street to stay on. There is shopping downtown, but I don’t know that you’ll find a good Airbnb right in the CBD. Auckland has a decent bus network, though, so you should still be able to get around regardless of where you stay. Great tips and I feel much better about going to New Zealand in MAY next month after I have read your post. I hope I get to see some beautiful colors. New Zealand is beautiful any time of year! Thanks for suggesting self-contained campers. Most of us Kiwis are happy to share our beautiful country with people from overseas but we don’t like it when people poo on our roadsides or anywhere else that isn’t a toilet! Thanks for respecting our land and encouraging people to keep it in a great state for everyone else to enjoy too. Lots of us travel and and on a budget too so we do understand. My tip is talk to us – most Kiwis are laid back, friendly and willing to give you great advice if we can. I’m all about trying to make as small a negative impact on the places I visit as possible. I have a whole post about campervanning in New Zealand, and I definitely stress the need to camp responsibly! Certainly helpful advice, thanks so much . Looking forward to my NZ trip in October.